I had the opportunity to sit a few Road glides with apes at the dealer, including a personal bike of an employee. 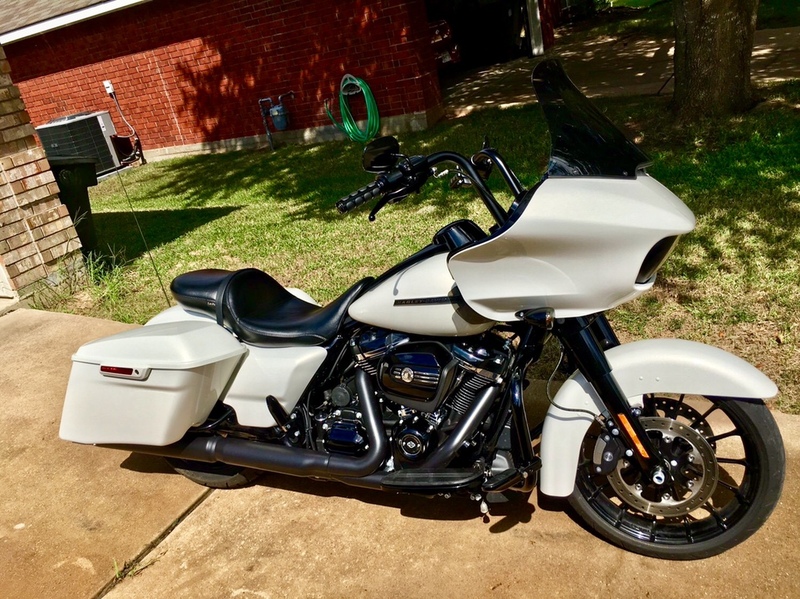 Stock bars are 8”, Road Glide ultra are 10”, he has the factory 12” apes on his road glide, but he had them rolled forward and they felt a little tall. The ultra bars felt good but were just a little lacking for me. My question is this how much difference does rolling the bars forward of the forks make? Based on my observations should I go with the 11” or the 13” if I keep them aligned with the forks? I ended up going with the 11" bars as I'm under 6ft. I rolled my stock FLTRU bars forward. Made quite a bit of difference for me. I'm still going to get bars is just not as much of a priority now. I'm 5'11 but I have longer than average reach. Been a awhile but I ended up going a different route, Harley Tallboy Bars.